It is your guide to prevent you from overspending and saving money. A budget plan will help you become more conscious about earning and spending money. It will give you directions on eliminating or controlling unnecessary items that you buy regularly. 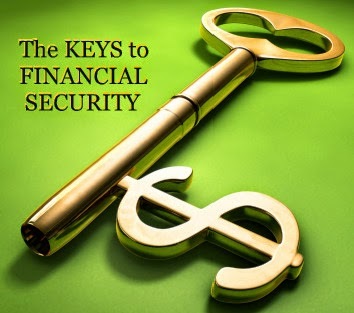 At the end of the day, it will help you save and this is one habit that you should maintain if you want financial security. Maintaining good physical health and condition is one of the best and natural ways to save money. When you are in good health, you do not need to spend on diet pills, fat burners, medicines for different illnesses and medical complications. In addition, when you are in good health, you do not run the risk of emergency situations such as heart attacks that will help escalate expenses. Thus, one habit to maintain is to exercise in order to stay in the pink of health and avoid spending money on expensive medicines. Some foods appear to be cheaper like junk foods but the long term effects can be financially disastrous. Junk foods contain a huge amount of salt and too much salt can damage your kidneys and when kidneys are damaged, you might need regular blood transfusion to keep it functioning. Thus, the next habit that should be promoted to avoid expensive operations and transfusion is to eat healthy foods as well. Do some gardening, read books, or meditate. When you have nothing to do or lots of idle time, you tend to spend or splurge. You shop when you are bored, you eat excessively, you socialize and drink heavily to escape loneliness and who knows what other bad habits you will acquire that drain your resources. Why not take another job to earn more money if too much idle time encourages boredom? There is always a hint of truth with the old adage “tell me who your friends are and I tell you who you are.” Getting along with people who are wise spenders is a good initiative as you will be influenced with good habits in order to maintain financial security such as bringing lunch to work, sharing of meals, and other cost effective strategies. There are indeed many positive habits that we can do every day to help us become financially secure such as exercise and eating the right foods to stay healthy, maintaining friends with good habits, and implementing financial management. So, why don’t you evaluate your daily activities and identify which one needs to be modified to help you gain financial security and avoid applying for a car title loan every now and then? Thanks for reading! Approved Cash Advance made this post possible. They offer car title loan Oklahoma City and throughout Michigan, Virginia, South Carolina, Tennessee, Alabama, Mississippi, Louisiana, and Oklahoma.